Pediatric Physiatrist Needed In New Orleans! Ochsner Health System in New Orleans is seeking a BC/BE PEDIATRIC PHYSIATRIST to join our expanding practice. Recent graduates and experienced physicians are welcomed to apply. Spasticity management: Botox and phenol injections, Balclofen pump management, etc. 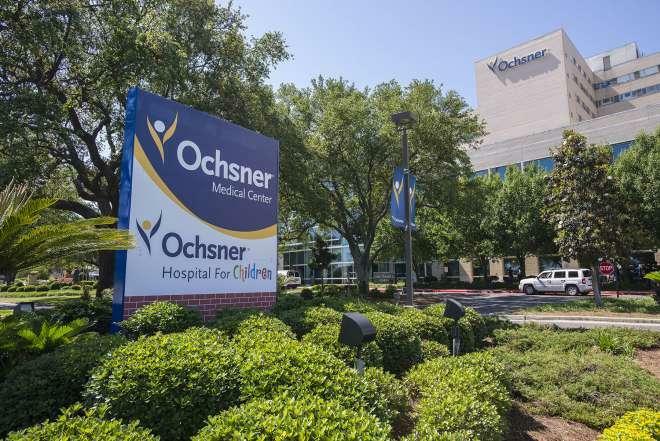 Ochsner Hospital for Children has been ranked among the top 50 children’s hospitals in the country for pediatric gastroenterology and gastrointestinal surgery specialties in the 2018-19 U.S. News and World Report Best Children’s Hospitals rankings. It is also the only children’s hospital in Louisiana or Mississippi ever recognized by U.S. News & World Report as a specialty top 50 in pediatric heart care and has now been ranked by USNWR for 2 years in a row! The larger Ochsner system is ideally designed to support tertiary care and quaternary pediatrics and pediatric surgery. Ochsner's has 30 owned, managed and affiliated hospitals and more than 80 health centers and urgent care centers. Ochsner is the only Louisiana hospital recognized by U.S. News & World Report as a “Best Hospital” across four specialty categories, caring for patients from all 50 states and more than 60 countries worldwide each year. Ochsner serves a wide variety of patients across the region with clinics at the main pediatric ambulatory facility in New Orleans. At our main campus Ochsner has a 113-pediatric bed unit, spread across inpatient, PICU, CVICU, and Level IV NICU. Ochsner has a very robust liver transplant service and is the only center in Louisiana that offers pediatric liver transplants. We have an orthopaedic surgery residency program with 3 residents a year. We also have medical students from the University of Queensland/Ochsner program. We have a rapidly growing pediatric orthopaedic research program that is well supported. New Orleans, one of the most exciting and vibrant cities in America, offers multiple universities and academic centers, professional sports teams, world-class dining, a variety of cultural interests, and renowned live entertainment and music. Sorry, no opportunities for J-1 applications. Ochsner Hospital for Children is a 113-bed children’s hospital within a hospital (Ochsner Medical Center in New Orleans) that offers a 33-bed inpatient pediatric unit, a 54-bed Level III-C NICU (the highest level in Louisiana), a 26-bed Level-I PICU / CVICU (the highest level), and a full-time, region-wide pediatric transport team. The Department of Pediatrics and our pediatric subspecialists (collectively, Ochsner Hospital for Children™) represent more than 120 physicians specializing in 30 pediatric specialties and sub-specialties serving more than 80,000 children every year. Our physicians practice at 14 sites across Louisiana, including a large, state-of-the-art dedicated pediatric ambulatory facility on our main campus. We have an outstanding primary care pediatric network across the region with over 40 general pediatricians, in addition to a large outside referral base. Ochsner pediatric physicians care for over 55,000 unique pediatric patients annually, and Ochsner hospitals have more than 4,000 deliveries per year. As the region’s leading integrated provider of multispecialty care for infants, children, adolescents, and young adults, we offer a full range of pediatric services from primary to quaternary care, as well as providing advanced specialty care from our pediatric specialists including: gastroenterology/hepatology, orthopaedic surgery, oncology and heart, liver and bone marrow transplant, and more. Ochsner Hospital for Children was awarded the 2017 Women’s Choice Award® as one of America’s Best Hospitals for Children. This evidence-based designation is the only award that identifies the country’s best healthcare institution by using a robust set of criteria that considers female patient satisfaction, clinical experience and what women say they want from a hospital. Now is the time to fall in love with New Orleans! The cultural riches, sensual indulgences and unparalleled service that define the New Orleans experience continue to flourish, as they have for centuries. The most celebrated and historic core of the city, including Faubourg Marigny, French Quarter, Central Business District, Warehouse and Arts District, Magazine Street, Garden District, Audubon Park and Zoo and St. Charles Avenue, is thriving. Ochsner Hospital for Children is part of Ochsner Health System, Louisiana’s largest non-profit, academic, healthcare delivery system providing high-quality clinical and hospital patient care to Louisiana residents since 1942. Ochsner is the only Louisiana hospital recognized by US News & World Report as a "Best Hospital" across four specialty categories.